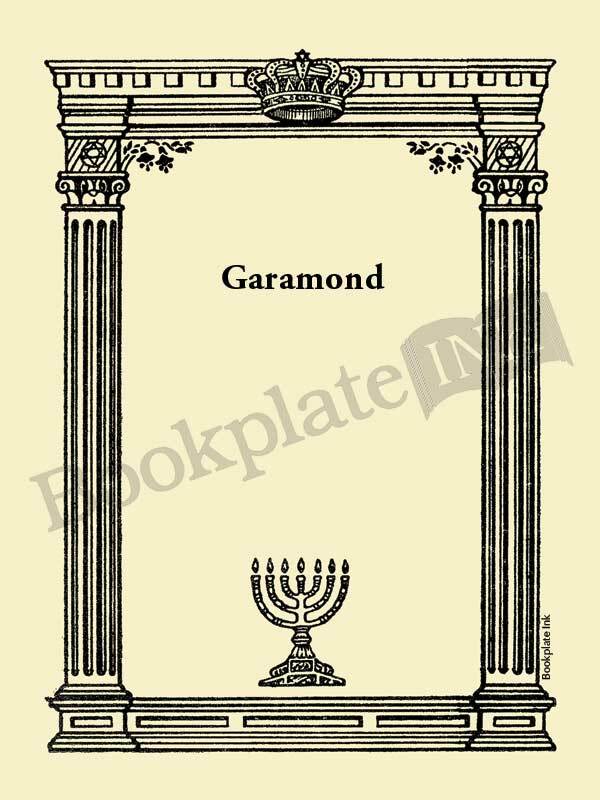 Introduced in the late 1950s by the Antioch Bookplate Company, this Judaic border design has been popular with synagogues and Jewish libraries. It was originally published by the Jonathan David Company of New York. There is room on this design for extra lines of text.